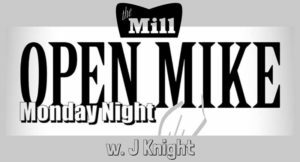 Open Mic with J. Knight is an Iowa City institution! Every Monday evening at 7 p.m., we'll be here! So many great acts have played their first show and many seasoned pros test out new material before our live audience. Come check it out – you never know when you’ll catch the next great Iowa City songwriter!